Rabbi Yitzchok Schechter learned in the Kollel of Beth Medrash Govoha in Lakewood, NJ for eleven years. Currently a writer for the acclaimed Artscroll series, he is involved in the production of an in-depth elucidation of Sefer Yirmiyahu in the Artscroll Nach Series. 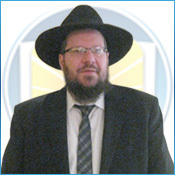 Rabbi Schechter has earned a reputation as one to turn to for sage advice, having applied his crystal clear lucidity to help many people navigate life challenges. With his unique Torah knowledge, experience and skill, it is an honor to have him serve as a Maggid Shiur for Shas Illuminated enhancing the learning of Daf Yomi..